From component-level electronics to complex electromechanicial assemblies, our focus is on providing innovative, cost-effective and low-risk solutions to repair problems. If you're considering whether to repair your industrial Electronics then choose EA Max and let us give you a free evalution and repair quote. EA Max repairs most brands at 10% - 50% of the cost to new unit. Most repairs are able to back in your hand within 3 - 15 days, with our Priority Repair Service shipping in just 2 - 3 days. We Guarantee Our Repairs With A Full 3 months or 12 months. 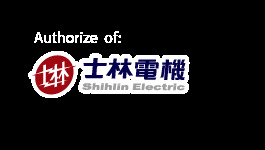 EA MAX engineers have many years of experience in control and automation systems. With many installed SCADA (Supervisory Control and Data Acquisition) systems nationwide, our clients benefit from our vast experience with projects of all sizes, complexities, and scopes. 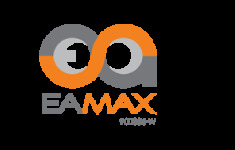 As a total solutions provider, EA MAX delivers customized projects from start to finish, including: system planning and design, engineering, SCADA development, programming, communication networks, panels, implementation, commissioning and support. The SCADA systems are designed to be scalable, using industry standards, to allow clients the ability to expand their systems easily and economically. We work closely with clients to establish project-specific standards and templates, which can then be used for future modifications and growth. We have installed systems that include traceability, batch processing, data collection/acquisition, web services, web based reporting, quality control, scheduling, material tracking, workflow, plus many more. Clients benefit from EA MAX team approach to SCADA development. When you trust your system with us, you receive the collective experience of our team of engineers , who are proficient with many different software programs, hardware, scopes and complexity. Exellent technical supports make us wining over others. Our team of expert Technical Support Engineer provide you with additional application advise, products selection and after sales service technical backup. You may not have heard of EA MAX, but our customers are some of the largest industrial equipment manufacturers in the world. We provide a reliable, proven approach for delivering flexible industrial IoT - automation solutions and differentiated products and services. Accelerate your time to market by 12-24 months for Remote Asset Monitoring, Predictive Maintenance, and Yield Optimization solutions. Digital transformation requires more than just a platform - you need an experienced industrial IoT-automation partner with a record of success. EA MAX services include production strategy and engineering support for solving your toughest integration and operational challenges.